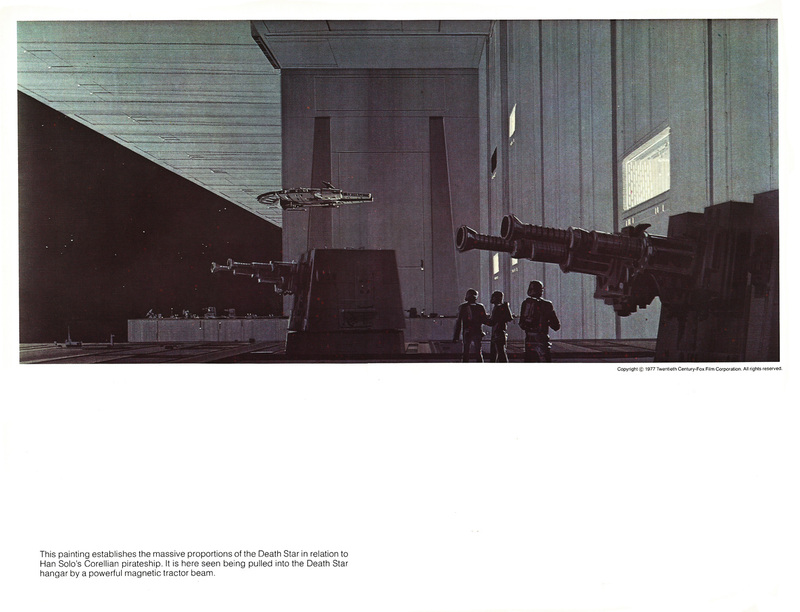 The Star Wars Portfolio (1977), Part Two | 'TAIN'T THE MEAT… IT'S THE HUMANITY! 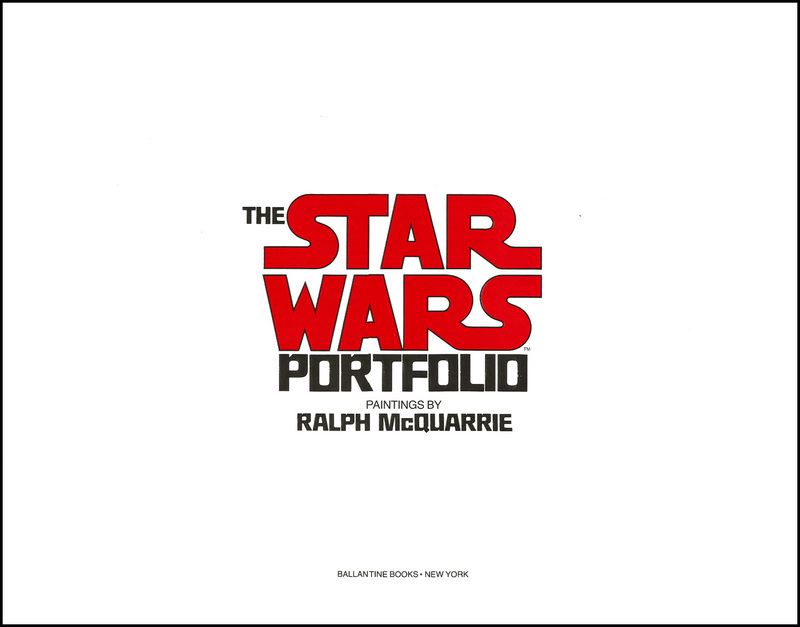 Published by Ballantine Books in September 1977, The Star Wars Portfolio featured 21 concept drawings from the film by artist Ralph McQuarrie. 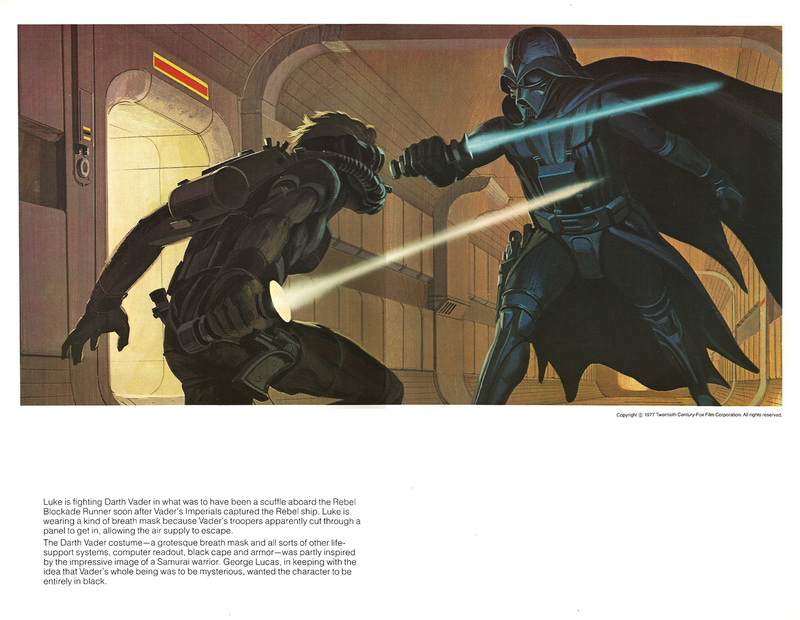 McQuarrie was instrumental to the look of the film and designed many of the film’s characters, including C-3PO, R2D2, Chewbacca and Darth Vadar. 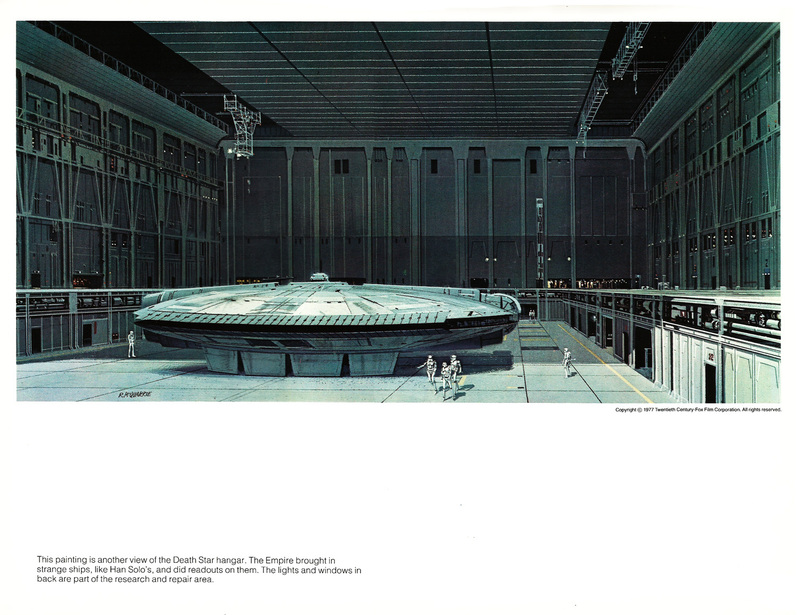 He also visualised many of the film’s set pieces and worked closely with director George Lucas and Production Designer John Barry, helping to give the film it’s unique and ground-breaking visual style. 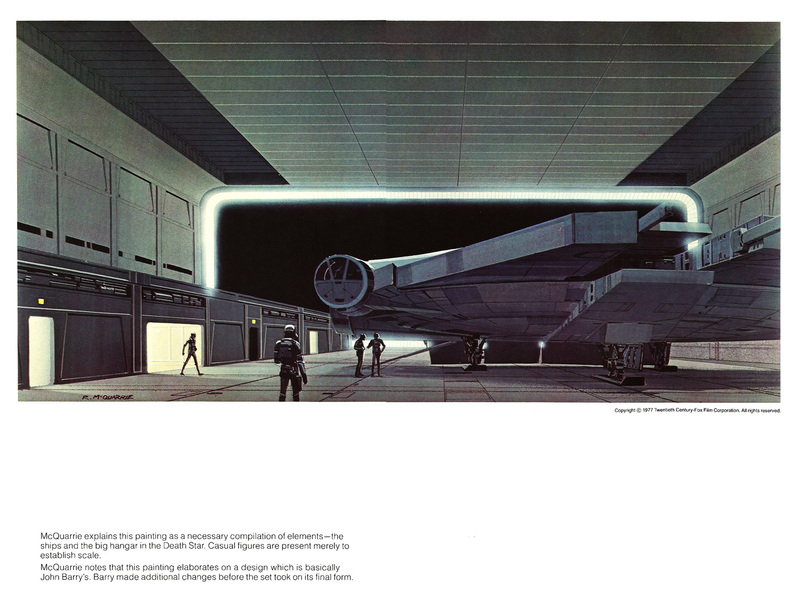 The 21 prints in The Star Wars Portfolio measured 14 x 11 inches, and shipped in a fold-out cardboard envelope. The Portfolio came with a title sheet and Introduction by the film’s Director of Publications – I’ve looked at the first seven plates here. 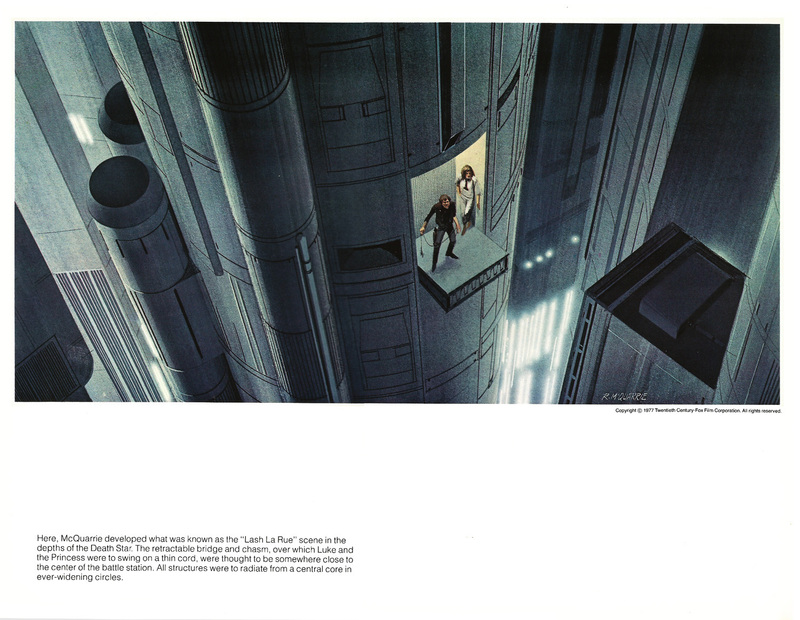 Each print is accompanied by an extended caption explaining McQuarrie’s thoughts and motivations when creating the image, and most of the plates in this group deal with the film’s second act sequence on the Death Star. 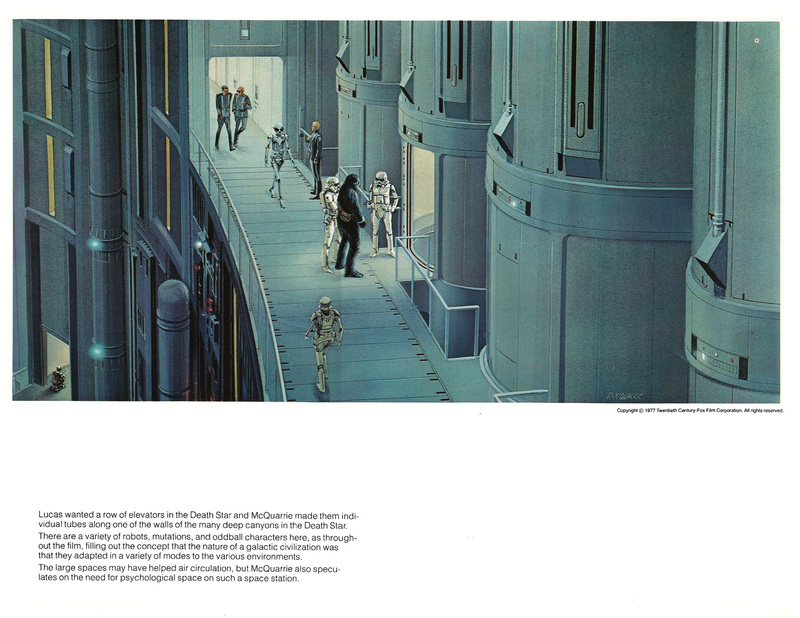 All of the drawings will be familiar to fans of the film and it’s fascinating to see how much of McQuarrie’s work made it into the film. But, as with the first seven plates, my attention is drawn to the elements that were changed. 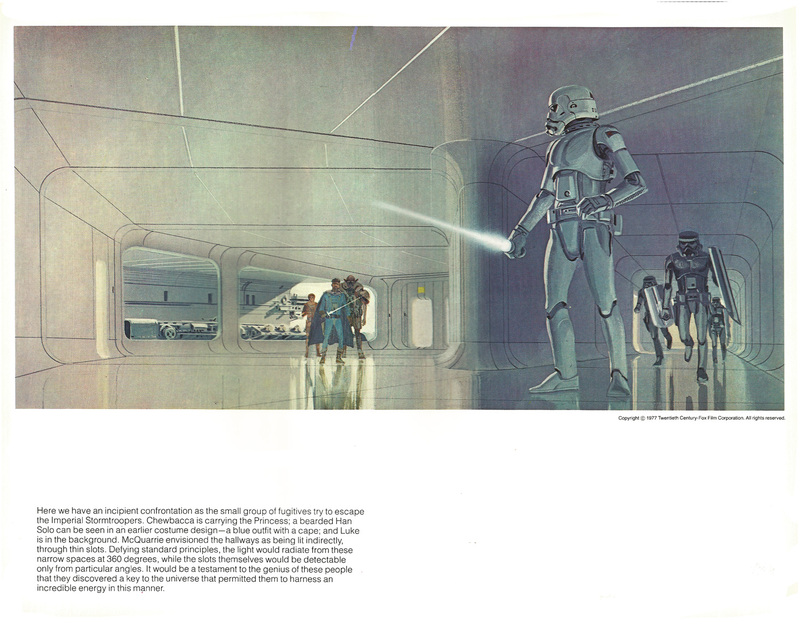 Plate 13, for instance, shows a bearded Han Solo wearing a cape (later given to Lando Calrissian in The Empire Strikes Back), while he and an Imperial Stormtrooper both carry lightsabers, suggesting they were originally meant as a weapon for general use and not one unique to the Jedi. 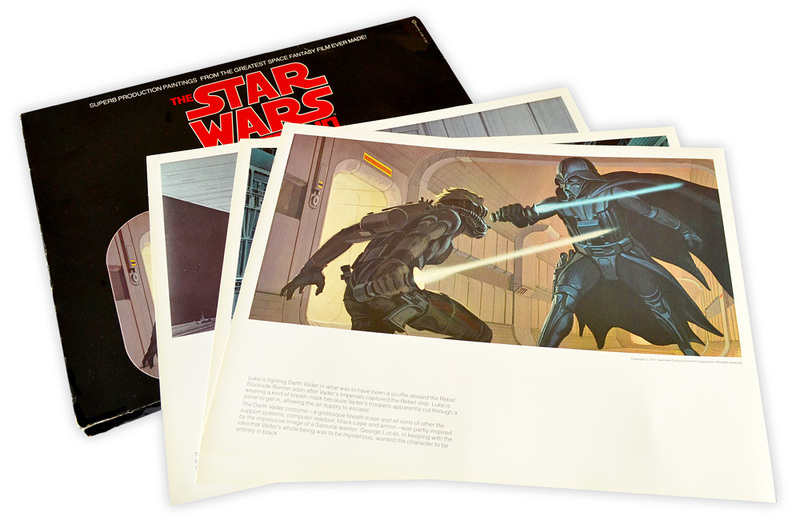 From this group (and indeed from the entire collection) the most eye-catching print must be Plate 14, which shows a oxygen-mask wearing Luke squaring off with Vader from a scene early in the film. It’s a wonderfully evocative image and it’s a shame it never made it into the final film. For this post I’ve included Plates 8-14 – click on the images for larger versions. And click here for Plates 15-21.